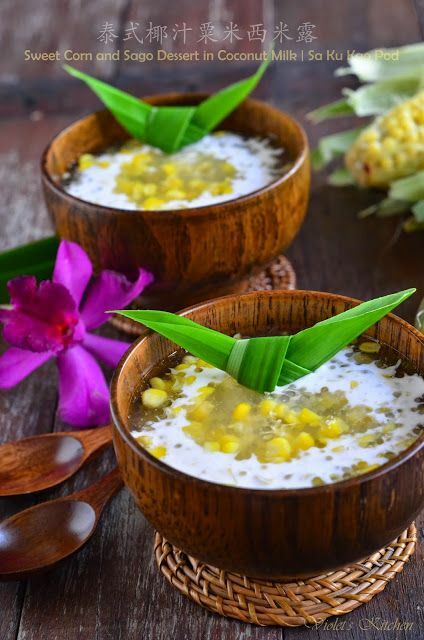 I excitedly dipped my dessert spoon into the little 2-inch tall shot glasses filled with layers of guinomis –little sago balls in gulaman with rice pinipig and coconut milk.... I love asian desserts. Much much more than western desserts. It might be the asian in me talking making me naturally bias, but I do think that asian desserts are much lighter, not as in-your-face as western desserts with their heavy cakes and creams. I was also craving for the taste of Gula Melaka, so I decided to make a dessert that combines sago, Gula Melaka and coconut milk. This, in my opinion, is always a winning combination! This, in my opinion, is always a winning combination!... I love asian desserts. Much much more than western desserts. It might be the asian in me talking making me naturally bias, but I do think that asian desserts are much lighter, not as in-your-face as western desserts with their heavy cakes and creams. I was also craving for the taste of Gula Melaka, so I decided to make a dessert that combines sago, Gula Melaka and coconut milk. This, in my opinion, is always a winning combination! This, in my opinion, is always a winning combination!... I was also craving for the taste of Gula Melaka, so I decided to make a dessert that combines sago, Gula Melaka and coconut milk. This, in my opinion, is always a winning combination! This, in my opinion, is always a winning combination! Use runny coconut milk for this dish. To test a can, shake it. If you can hear liquid sloshing around, it will work. For an even lighter dessert, use "lite" coconut milk. To test a can, shake it. If you can hear liquid sloshing around, it will work.... I love asian desserts. Much much more than western desserts. It might be the asian in me talking making me naturally bias, but I do think that asian desserts are much lighter, not as in-your-face as western desserts with their heavy cakes and creams. 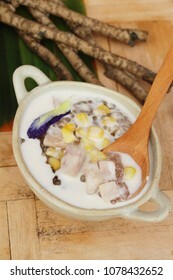 The sago is transparent like pearls, a little bit chewy, with sweet coconut milk, very delicious! You can always find this dessert in Asian dessert shops. Usually we will add some yam, or fresh fruit like melon, watermelon, mango, mixed fruit in this sweet soup. I love asian desserts. Much much more than western desserts. It might be the asian in me talking making me naturally bias, but I do think that asian desserts are much lighter, not as in-your-face as western desserts with their heavy cakes and creams. I excitedly dipped my dessert spoon into the little 2-inch tall shot glasses filled with layers of guinomis –little sago balls in gulaman with rice pinipig and coconut milk. 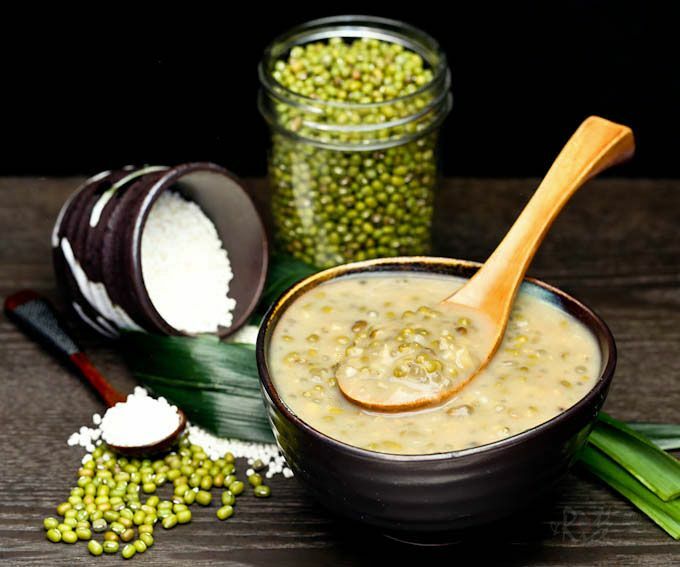 Stir the sago into the coconut milk and continue to refridgerate. Cut up the Melon into small cubes and add into the sago & coconut milk mixture. Cut up the Melon into small cubes and add into the sago & coconut milk mixture.